What follows is the first of the the Fatigue Project reports: The testimony of MPN patients, giving witness to techniques that have worked to modify the effects of pain…and some that haven’t. The object: To derive a comprehensive plan staged for MPN patients at all levels, stepped from small beginnings to a full lifestyle program to maximize our potential within the challenges of our MPN. It started with a generous offer from The Mayo Clinic’s Dr. Ruben Mesa to help us explore strategies to reduce MPN associated fatigue. MPN patient participation was invited via a blast e-mail to patients and Facebook posts. To participate in the Fatigue Project, click here. We’ve had a clear picture of the extent and impact of MPN fatigue at least since 2006 when the landmark study partly designed and written by Joyce Niblack was published. The work of Mesa et. al. on the MF Symptom Assessment Form, published in Blood in 2011 helped define the extent and nature of impairment caused by MPN fatigue. Now we can up go the next step and do something to relieve those symptoms. By sharing our experiences we can help caregivers and healthcare providers produce a stepped, clear and verifiable program we can all follow. We’re not trying to frame an hypothesis to explore the causes of fatigue….simply uncover the most effective strategies to overcome it. There have been conclusive studies demonstrating the lack of association between anemia factors like low hemoglobin levels and fatigue and yet, for many of us, falling levels of Hg still correlate with our perception of increased fatigue. There’s speculation that depression and other psychological and emotional impacts play a role in MPN fatigue. What is indisputable, however, is the effect Fatigue plays in our MPN life. MPN fatigue is capable of rendering us diminished or even comatose, MPN-associated fatigue impacts every aspect of our lives. While it may be crucial to determine the cause of this fatigue — just as it has proven useful to quantify and characterize it — nothing comes close to the need to relieve this crippling impact on our social, economic, and spiritual lives. Thus, leafing through these e-mails from fellow MPN patients, most of us are far from objective. We are looking for answers. We’re hoping to find effective practices that can be turned over to Dr. Ruben Mesa and his associates at the Mayo Clinic and, hopefully, others at other institutions, to structure some means to test the relative effectiveness of one or more strategies to relieve fatigue. So far, all input is qualitative. Anecdotal. And, from a rigid, scientific perspective, therefore, unreliable, not reproducible. We could use a more carefully studied, reliable and tested tool. However, the reason to pursue this research is not to get a kosher seal of approval on one or more techniques but to help us select an optimized therapeutic path to lead us out of a fatigue- dominated life. A note on the Strategies, below: In the interest of presenting clear capsule conclusions and tactics, we have edited these first patient submissions to the Fatigue Project, . This is only a preliminary step. (The full text of all submissions has been archived.) We clearly need more input differentiated by patient demographics, disease type and relative progression. But it’s a beginning we can build on and, best of all, try out right now. As you’ll see reading these abstracts, there seems little doubt that exercise helps. It’s a position strongly endorsed by the research. The impacts of exercise on physical and mental health seem inconvertible. Question is how does that apply to us? Some of us have serious physical limitations. Some of us are reluctant to spend limited productive time curling dumbbells or riding bikes long distances. A definitive, staged, exercise program, prepared by professionals, perhaps funded by government or foundation grants and accompanied by a step-by-step instructional video could be the first fruit of this effort…even before the research itself is fully designed, the cohort recruited and questionnaires deployed. The causes of blood cancer fatigue may be varied and unknown. What is indisputable, however, is the effect Fatigue plays in our MPN life. Capable of rendering us diminished or even comatose, MPN-associated Fatigue widely impacts our lives. 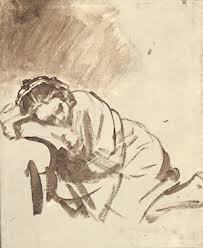 While it may be crucial to determine the cause of this fatigue — and it has proven useful to quantify and characterize it — nothing comes close to the need to relieve this crippling fatigue that impacts our social, economic, and spiritual lives. To participate in the Fatigue Project, simply send an e-mail to ourMPNforum@gmail.com. And type FATIGUE PROJECT in the Subject box. You will be added to the study cohort and, when the research is designed you will be sent the full questionnaire. 1. A sound machine. It makes white noise. While I still have difficulty falling asleep, once I am asleep I tend to sleep well. Sometimes I tell my hubby to turn the machine off so I can wake up and get out of bed! 2. I have sleep apnea, so I use a CPAP machine at night. I can’t say that I like using it, but if I go more than 2-3 nights without it, my fatigue definitely worsens. I wonder how many people with sleep apnea go undiagnosed? 3. The thing that helps me the most is Concerta, an ADHD medication. It provides a boost of energy AND also diminishes my “foggy brain” symptoms. I can focus on tasks much better and don’t feel the need to close my eyes for a few minutes. Apparently, this drug has great street value, so I must meet with the psychiatrist every 3 months to check in and get refills. 4. Regular walking helps boost my energy and general well-being (even if I need a nap after walking 1-2 miles). I haven’t been able to walk much the last few months because of chronic, painful, intermittent inflammation in my feet (perhaps erythromelalgia? ), and I can feel the difference. I’ve tried yoga a few times and really should give it a fair shot. – start moving- even if it is for walks of 5- 10 minutes at a time and even if it feels like my body is too heavy to move through the air. If I can get to 20 minutes, the fatigue starts to lift. – I am more vigilant about healthy eating (always was, but more intake of protein has helped)- my appetite goes down with fatigue, so every morsel needs to be nourishing. I applaud this effort to try to better assess MPN-related fatigue and hope that it yields helpful results. However, I can’t help but wonder if it will lend itself to clinical trial design. I hope it does. There are some days when my fatigue is so great that I end up sleeping away the day and I allow myself to do that once in a while. ..Just as those who engage in regular exercise will tell you that they have more energy, not less, as a result of that exercise, I find that getting up and becoming involved in something — whatever that something may be — usually results in my feeling significantly and progressively better as the day goes on. Even if it doesn’t involve what would normally be considered exercise, just moving around and engaging the brain seems to have a positive impact on fatigue. It’s likely that this would be difficult, if not impossible, to quantify, other than offering self-scoring scales where the individual reports energy levels or fatigue levels at various times during the day and notes activity levels at the various time points. You can help make MPN history and help relieve fatigue for MPN patients. Join the Fatigue Project here. Ive also got severe sciatica and can’t walk far. I’m am on anti anxiety pills so can’t sleep either. My appetite is poor. I’m on my own no friends or family for support. I’m very depressed. I am sorry for your painful situation, Denise. I’ve had sciatica myself and sleep is out of the question. It’s a cycle of pain and fatigue. This is probably not the right forum, however, for you to get support. 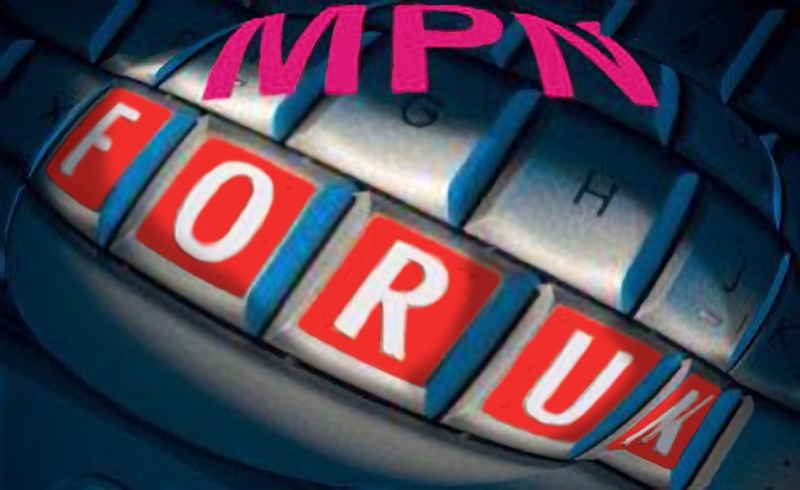 Have you tried the MPNforum Facebook page or Myelofibrosis Support Facebook or one of the email lists like MPN-NET or MPDchat where you have a chance for instant feedback from fellow patients. FIrst line of defense of course is to make sure your hematologist knows what’s going on with you. Good luck. No I didn’t read that to my dog ( sarc intended ) . Thank you . I’m at the very beginning of this process just having been diagnosed . The more I read the better I feel . Not being alone is a big help . Vet for my dog . This herb is also compounded for people and available on Amazon . It’s called Eight Flavor Rehmannia or Zhi Bai Di Huang Wan . This is non steroid . I started with a very small dose daily ( 1/4 ) , after 5 days it started getting better . Now , after 2 weeks , I can be in the pool for hrs. and take long showers . the itch . Well darn it cured a very itchy dog and working for me also ! CAUTION: DO NOT USE DURING PREGNANCY. IT IS NOT ADVISABLE TO CLIENTS WITH SPLEEN DEFICIENT TYPE OF DIARRHEA AND INDIGESTION WITH A WHITE AND GREASY TONGUE COAT. This statement has not been evaluated by the Food and Drug Administration. This product is not intended to diagnose, treat, cure, or prevent any disease. Nourishes the yin and ascends fire due to deficiency of the yin. Use for deficiency of yin with flaming-up by daily recurring fever, night sweating, dryness of the mouth, sore throat, tinnitus, seminal emission, scanty deep-colored urine. Eight Flavor Rehmanni Extract (Zhi Bai Di Huang Wan). For clients with chronic disease, it is advisable to take Six Flavor Rehmanni after purge of pathogenic fire. How do you know that you have MPN related fatigue? How is it different from just being tired? I definitely HAVE TO nap every day and have done so for years, but I don’t know if that is just the way I am, or caused by my having ET. I have no ET symptoms. Excellent information. I will certainly be interested in reading more about the Fatique Project as this will be a help to all of us.